Kids know Mario and friends from Wii's version of Mario's Kart, Super Smash Bros., and even the newest version of Super Mario, but for an old timer like me, nothing beats the original, not that I don't enjoy the new one. 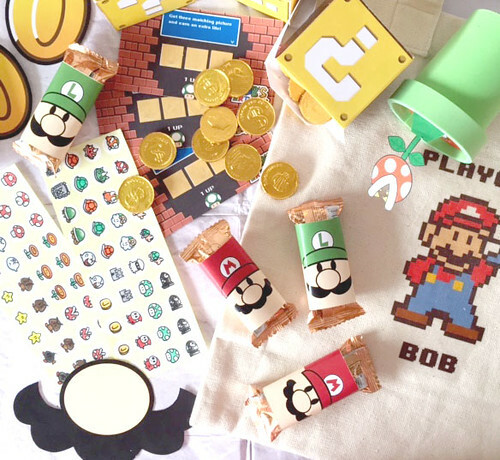 But the 80s and 90s Mario is so nostalgic! And more hard to beat. So today's party is tailored for a 10 year old birthday boy. Here is the goodie bag! 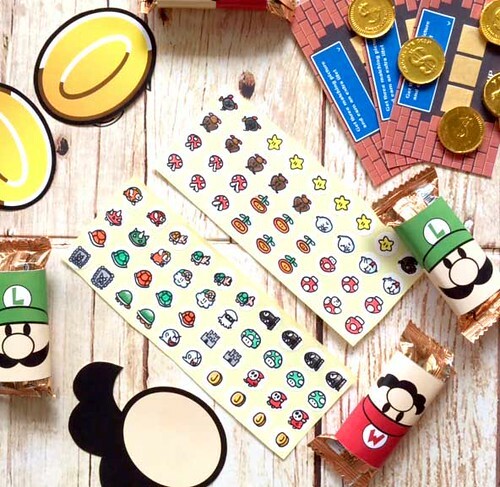 I made the printable coins for treasure hunting game, chocolate bar wrapped in printable Mario and Luigi's face, printable trademark question mark box filled with gold coins (duh, of course! 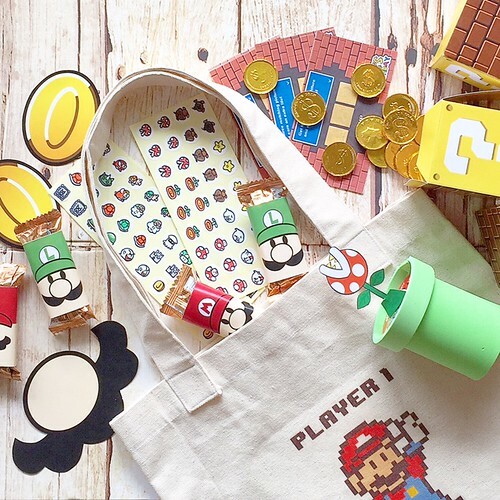 ), a cookie cup disguised as piranha plant's pipe, and a scratch off tickets to win some prizes! I also did some stickers by hand using store bought circle stickers sheet, it was so much fun (and affordable too). Big Sis G got to color the stickers and she's doing a great job as you can see here. I also did some background for photo booth. And of course it's almost mandatory for today's party to have some photo props. 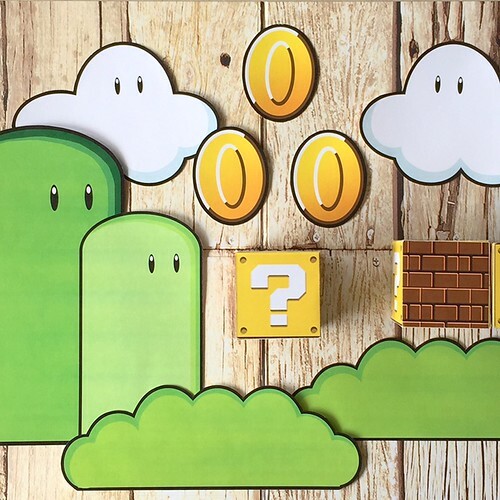 Do you need any Mario themed photo props? 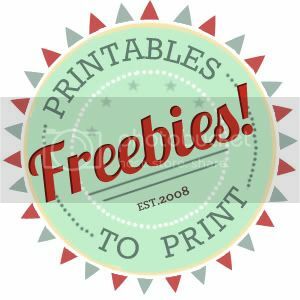 Should I share the printables here? 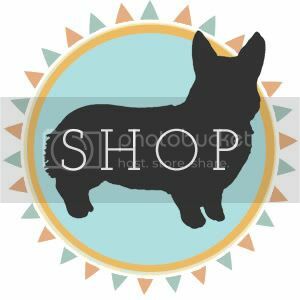 Would love the printables please!!! Much thanks. 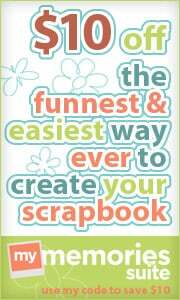 I adore these amazing printables! 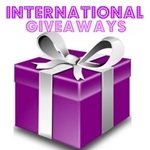 I'd love for you to share them..thank you so much! 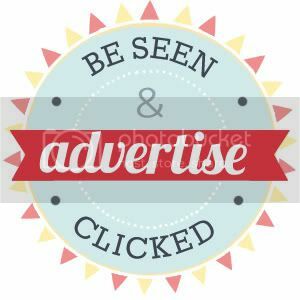 I really really want the printables pleaseee!! 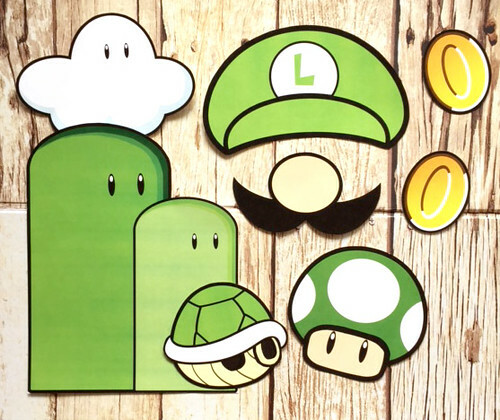 I would like the printables if you still have them, my nephew is a HUGE Luigi fan! Hi, I love the ideas. Your party was amazing. 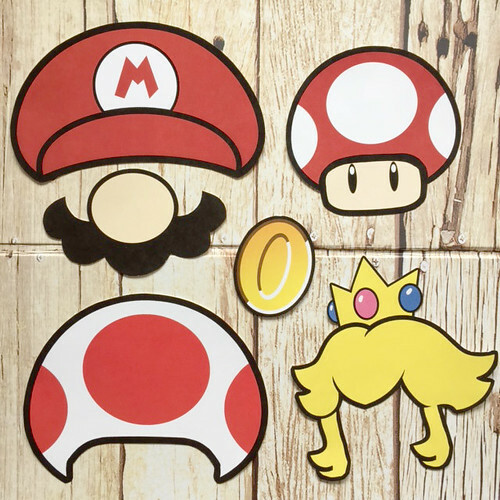 I am working on my sons party and looking for some printables. Can you share them here please? These beautiful, it would be wonderful to share it, my baby turns 2, I would be very grateful. 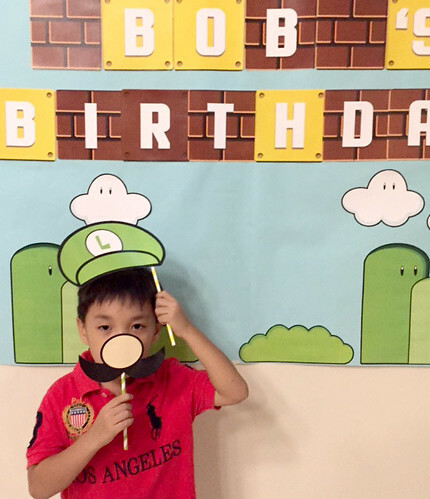 My son LOVES the photo booth idea and we have downloaded the props thanks to you! Would you happen to have the other props for the backdrop (clouds,etc.) that you'd be willing to send?! 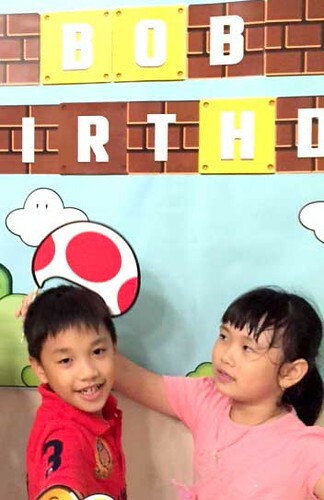 Thank you so much for making my son's birthday! My e-mail is jorlando7@comcast.net if you could e-mail me about sending the other clouds, etc. I would greatly appreciate it!